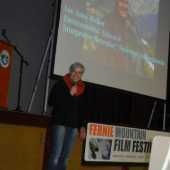 In 2010 Pat Gilmar was the first winner of the Fernie Mountain culture Award. Pat has been described as a “single-track mastermind, a visionary dude who toils at the crossroads between science and sickness, philanthropy and funk, radness and madness”. (Kootenay Culture Magazine). He has been at the forefront of shepherding the Elk Valley Ski Touring Association into the Fernie Trails and Ski Touring Club into the Fernie Trails Alliance. He has sat at the bargaining table of the Southern Rocky Mountain Management Plan and been a member of the Southern Rocky Mountain Advisory committee overseeing our playground and making sure our best interests are represented at all levels of government. 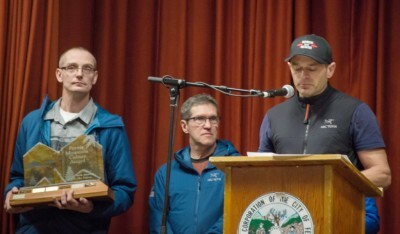 He not only is a multi-time race finisher but actually helps to design and deliver the Transrockies Mountain Bike Race. If you have ridden Verboten, Old Goat, or Snake Bite or have ventured onto Hyperventilation or further onto the Porcupine Rim trail then you have seen a portion of this man’s passion. His motto is “If you build it, you’d better maintain it’. In to 2011, Heiko Socher won the award. "Heiko and Linda Socher are cornerstone's of our community. Not only were they integral in building our ski hill from a T-bar operation in 1966 to the Fernie Snow Valley we all know and remember, they have also had a direct positive influence on Fernie's growth in a broad range of areas. They support and encourage others in our community to do the same, and are inspirational to say the least." In 2012, Lee-Anne Walker was the deserving recipient. 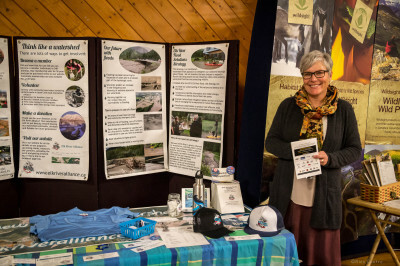 Her great passion for all things wild, as well as her endless environmental education and entrepreneurship made her a very deserving and popular recipient. 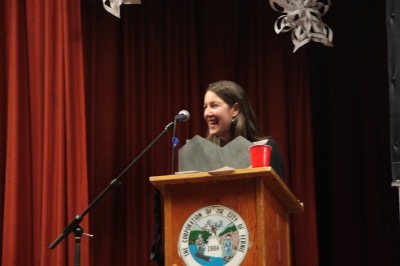 The photo above is of Lee-Anne receiving her award at the festival. You can also read all about Leanne's loves here. In 2013, David Aikens, a well recognized and respected ambassador of the Fernie community received this award for his many contributions to our mountain culture. As a long-time Avalanche Safety Analyst, Forecaster, Pro-Patrol Director and Educator, Dave has developed and implemented snow safety practices and procedures locally, nationally, and internationally. After receiving his BA in Geography, Dave began his career in the 1970’s with the SRAWS program (Snow Research and Avalanche Warning Section) of Parks Canada in the Rogers Pass. This is one of the largest avalanche programs in the world. In Feb. 1979, the Griz Chair at Snow Valley (now RCR) was hit by an avalanche, causing serious damage. The BC Ministry of Transport decided that a more formalized avalanche control program was necessary at the resort to ensure public safety, so Heiko Socher recruited Dave for the new position of Snow Safety Analyst and Pro Patrol Director. Dave advanced the development and implementation of snow safety practices and procedures at the resort including avalanche safety planning, avalanche mapping, blasting protocol, and first aid and emergency response. 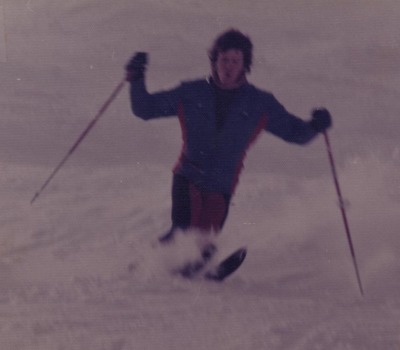 Having excellent communication and public relation skills, Dave was able to hire and mentor aspiring patrollers, some of which included Scott Aitken, Barb Nielson, Bruce Jamieson, Al Evanchick, Dave McBeath, Robin Siggers, Kevin Christakos, Frank Fitzmaurice, Gord Ohm, Brian Johnson, Rick Freeman, Steve Morrison and Sue Boyd. A host of willing volunteers were also fostered within Dave’s program. Dave initiated patrol exchanges and also worked internationally to advance snow safety protocols in areas such as New Zealand. As Patrol Director for over 20 years, Dave’s expertise in snow safety analysis and avalanche forecasting made it possible to safely and reliably open skiable terrain across Fernie’s Five Bowls, including regular operation of the Face Lift. This was accomplished with a limited explosives and helicopter budget under a very challenging range of snowpack conditions within the avalanche terrain still being spoken about to this day. He consistently provided safe, enjoyable experiences to the skiing public. His forecasting skills limited terrain closures, which encouraged and accommodated large numbers of skier visits as recorded in the past. This also allowed special events such as the Powder 8 competitions, NORAM races, National Telemark comps., Junior racing programs, etc, to be reliably scheduled. This was not only a benefit to the resort but also to the prosperity of the region. Dave, (also known as ‘Shakey Dave’) saw the need to educate locals and visitors in avalanche safety practices, so began teaching avalanche courses at the College of the Rockies, which he continued to offer for 33 years. He has graduated countless numbers of local, national and international students. Dave continues to contribute his expertise to the management of RCR as an Avalanche Forecaster, which has been his role since 1979. He continues to advise management on innovative strategies to reduce closures and enhance guest safety. His extensive application of proven snow science principles (such as facilitating ‘skier compaction’, etc) brings the benefit of his experience to the forecasting team. 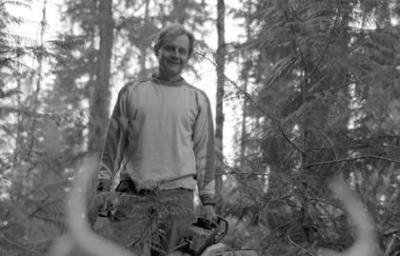 In 2000, Dave is proud to have been the first to locate Ryan Radchenko, who was fully buried in a slide on the closed ‘Shakey’s Acres’ run at Fernie Alpine Resort. Dave probed Ryan’s boot and called out a probe strike which ultimately resulted in the live recovery of Ryan after being buried for over 20 minutes. Dave remains an ‘unsung hero’ in this rescue and you may have heard other ‘stories’ of this event, but Dave is happy that Ryan was able to return to the ski hill that day unharmed! 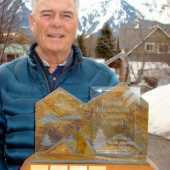 As a Founding member of the Canadian Avalanche Association in 1982, Dave was recognized with the CAA Service Award in 2011 for his lifetime contributions to professional standards for snow safety and program development. 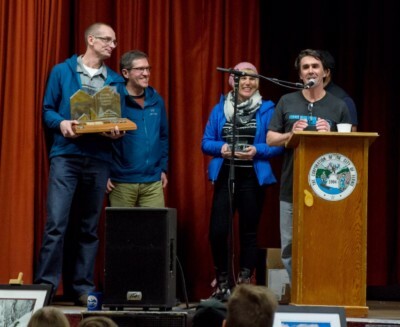 Dave is very pleased to have been recognized by his home-town Fernie community for his inspirational and passionate contributions by receiving the 2013 Fernie Mountain Culture Award. The 2014 winner of the Fernie Mountain Culture Award is Ian Stokie! Ian has a long history of activities in the mountains around Fernie both summer and winter. Margaret and Tom got him skiing early , tradition he has continued with his children and,grandchildren . He was involved with ski racing, ski instructing and started ski touring before the arrival of ski touring equipment in Fernie. His first trip to Thunder Meadows involved side stepping from the ski hill via Polaris bowl to the location of the present day cabin. 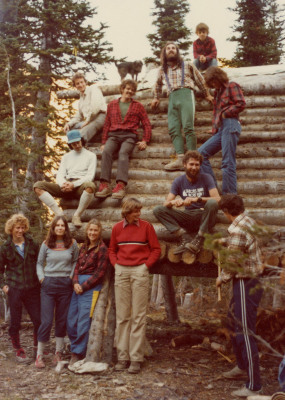 Ian was a primary designer and builder of the 3 Thunder Meadows cabins. 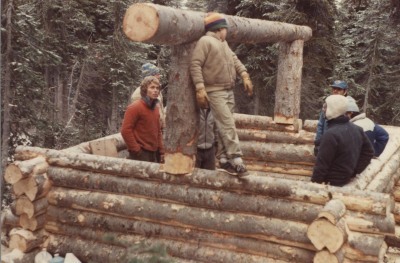 The first was a rough log structure which barely provided shelter and burnt down from the home made wood stove. The second was a significant improvement but gave way to the present cabin which was built 20 years ago and was extensively renovated this past Fall. Ian has been a major part of the Elkvalley Ski Touring Association now the Fernie Trails and Ski Touring Club since its inception and instrumental in looking after the Cabins. It was his design for the Tunnel Creek cabin which was built in the valley of light weight material and flown up to its present location. Ian is particularly proud of his composting toilet designs which are in place at Thunder Meadows and Tunnel. in the complex touring terrain around Fernie. after multi use trails around Fernie, building , maintaining, and ensuring access. shots through sparkling snow in places like the Burnt slope,or 2001or Beyond Awesome. Thanks Ian for making Fernie a better place for us to live. remains the President of the FNS today. skiing that most people did in Fernie. work to build one; this is exactly what she has done. Megan’s enthusiasm is palpable and her dedication is nothing less than exceptional. new Nordic trail system near the Fernie Provincial Park. contractors, land owners and the government to make it all happen. Nordic skiing extremely accessible for all types of families in the Elk Valley. triumph of the new Elk Valley Nordic Centre. as it is today before she became so involved. In 2016 the FERNIE SEARCH AND RESCUE received the award for their endless volunteer hours and focus on wilderness safety. Simon Piney, Kat Robinson, Scott Robinson and Rob Lanthier are the local Fernie SAR managers and they have proven time and again that thier dedication to training, organization and teamwork what an effective volunteer organization can do.